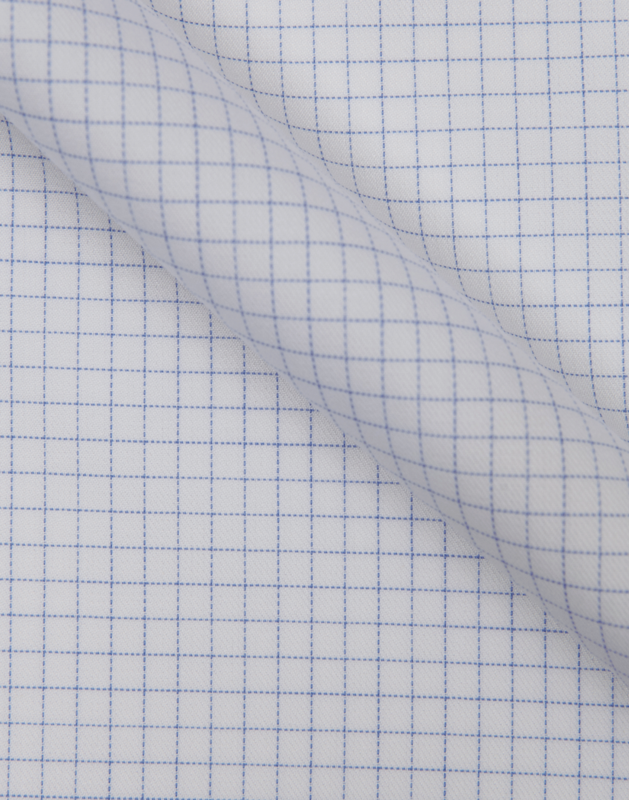 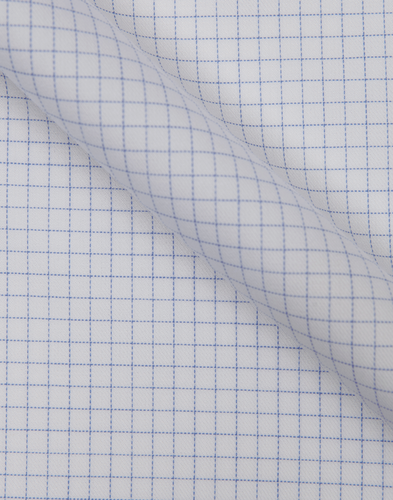 Twill fabric with a white base and a sky blue grid pattern. 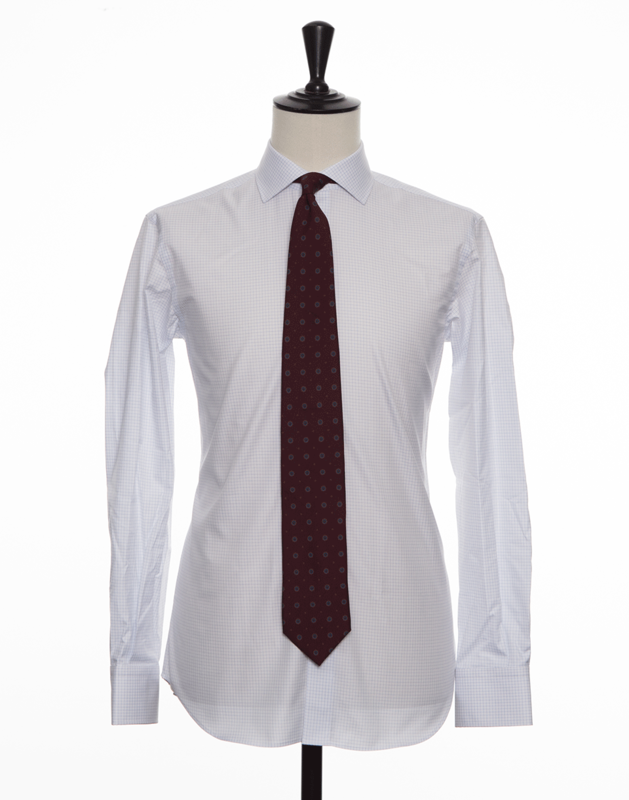 The fabric's subtle pattern creates a nice contrast against a dark suit and is easily matched with most types of ties. It also goes well together with denim or chinos for an informal yet smart look. 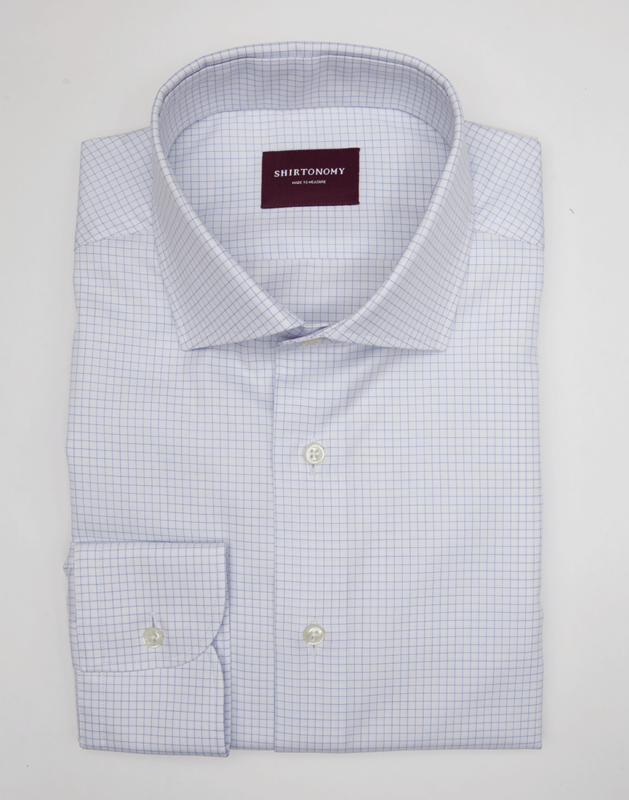 The fabric is woven in Italy of long-staple cotton and has a soft feel.